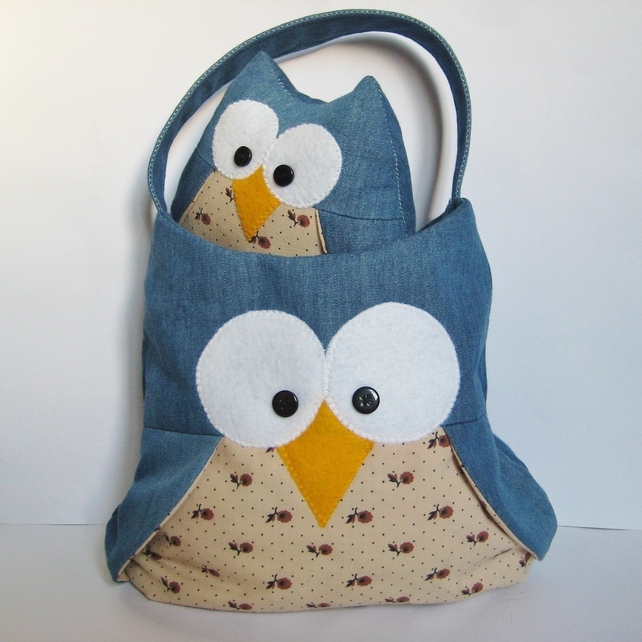 This bag by lootymakes is simple but very sweet! I think the colours compliment each other really well and I love the little green leaves! 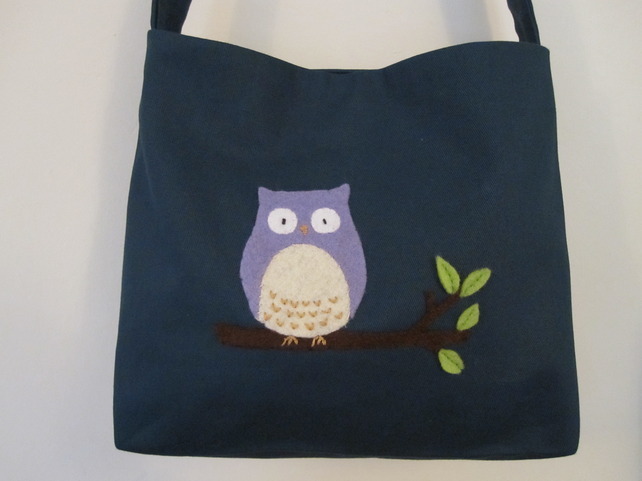 From one owl bag to another (although this one is for the pattern not the finished bag). I think fuzz and fluff have done a great job. I think I might just have to make Barney and his little friend too! 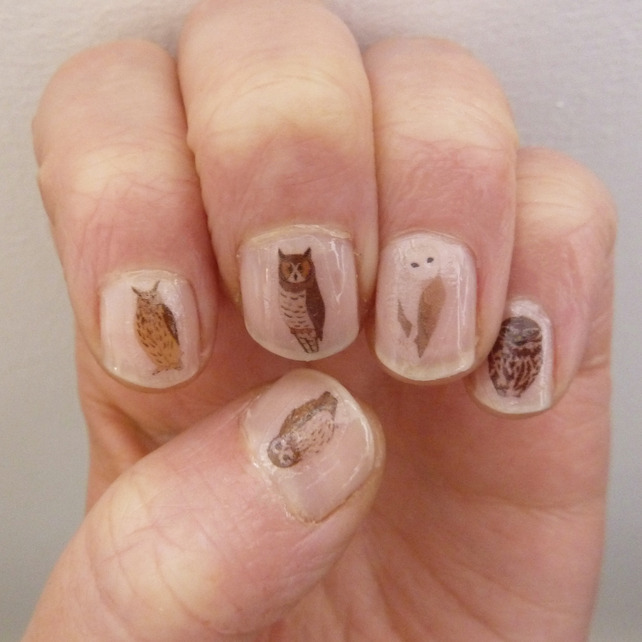 When I found these nail transfers by Kate Broughton, they did make me laugh but I absolutely love them! She has some other lovely prints (and not just for nails!) in her shop. 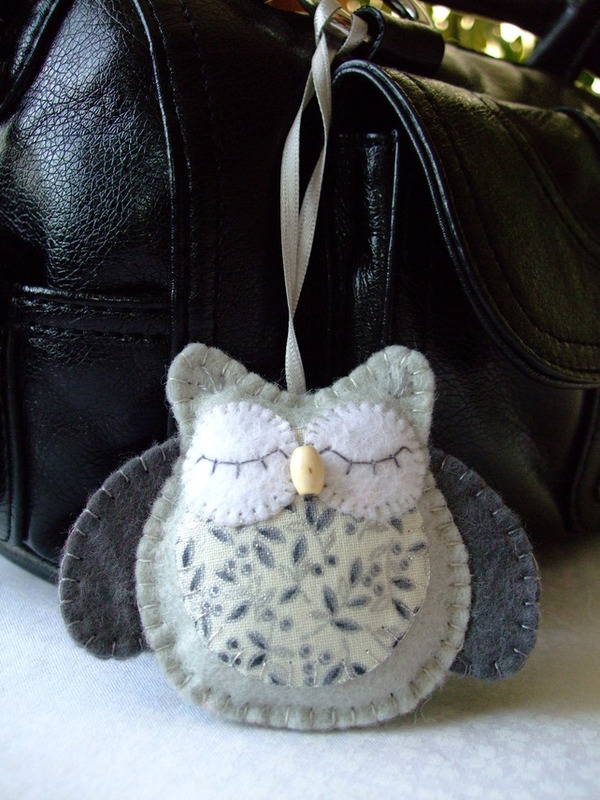 Finally, I’ve chosen this sweet, sleepy little owl bag charm by iCandy Crafts (they also do one in red and orange).